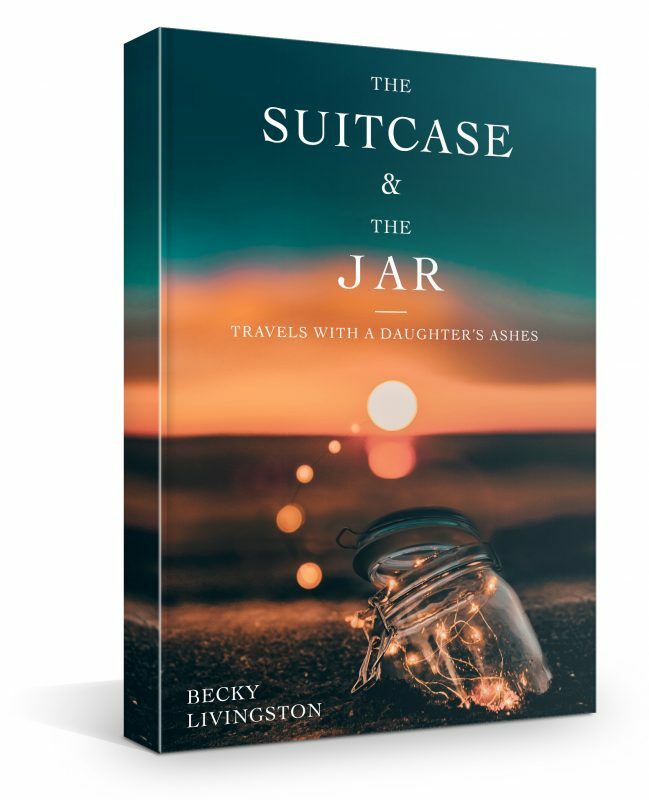 Becky Livingston is the author of the memoir The Suitcase & The Jar: Travels with a Daughter’s Ashes. What if grief renders you homeless? In 2010 a brain tumour took the life of Becky Livingston's daughter, Rachel. Twenty-three years old and an avid traveller, it was her dying wish to keep traveling. Eighteen months later, still reeling from her loss, Livingston sets off overseas, alone, untethered, and determined to continue her daughter's journey. She felt certain that seeing the world through Rachel's eyes would bring her some peace. In her suitcase - Rachel's ashes, heavy but compact travelled with her. With no agenda or timeline, Livingston travelled the world for twenty-six months - Italy, Ireland, Switzerland, Spain, Australia, India, England, Ireland and North America - leaving her daughter's ashes wherever she went. It was a ritual. Merging her daughter's soul with the elements, Livingston gradually finds points of belonging for them both. THE SUITCASE AND THE JAR explores an intensely personal yet universal experience; how one navigates the terrain of sorrow. It is a story of a mother's transformative journey through grief; a story of surrender, dislocation and belonging that will speak to anyone who has ever lost someone they love.